It is the final day of the course. 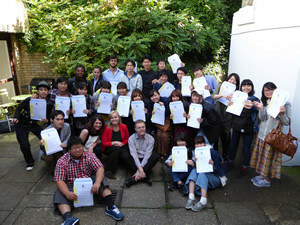 We had a special "leaving ceremony" during which certificates were presented to all students. Tomorrow we will have one final day in Brighton and London before taking the flight back to Tokyo on Sunday.